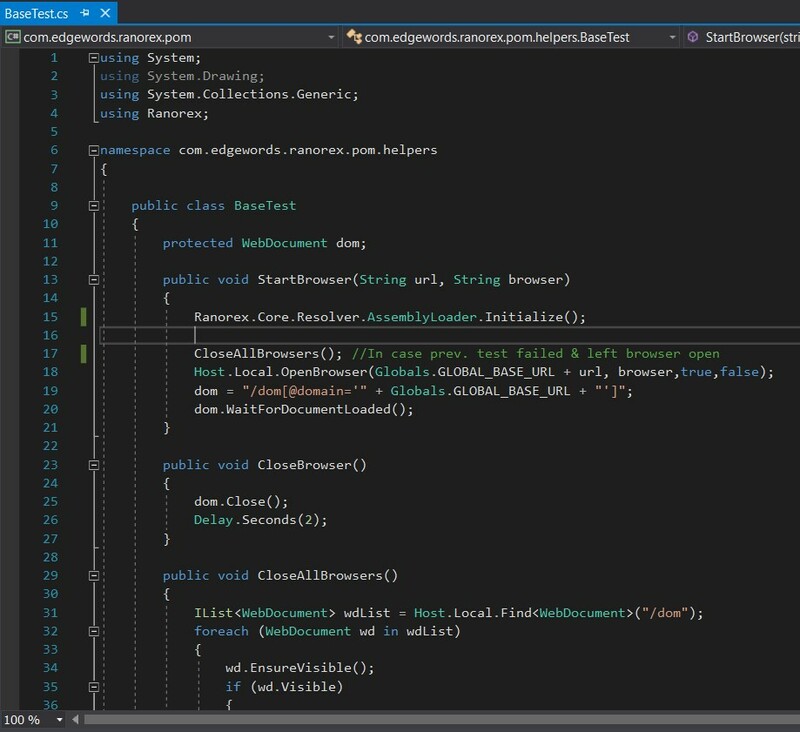 So far, we have done all the required set up in Visual Studio, now let’s create our test framework! As all of our tests need to start and stop browsers and deal with the web page (DOM), lets just do this once in a base class which we can inherit into our tests. Create a new Class in our helpers folder, call it BaseTest and add the following code. 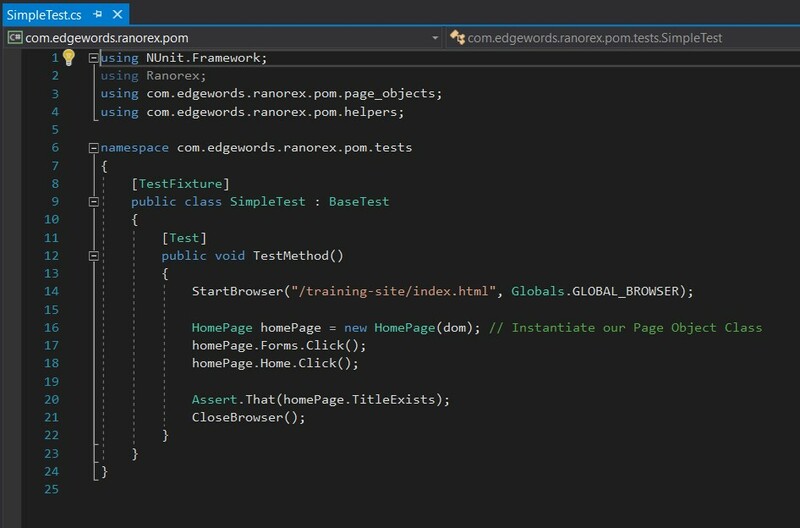 Note: The Ranorex.Core.Resolver.AssemblyLoader.Initialize(); is required by newer versions of Ranorex in Visual Studio to load the appropriate dependencies for the Ranorex API. We now have some useful Methods for starting and quitting the Web Browser that we can inherit into our test scripts. Our Page Objects are simple, we have one for each Web Page in our application, and they simply create fields that store how to identify the corresponding Web Element. The reason for this is that if we just set the RanoreXPath directly, e.g. Then when we instantiate our Page Object Class, Ranorex would try to find the Web Elements at that time, and if we have a dynamic web page some of the elements may not yet be displayed and Ranorex would throw an error. So using the Lambda expression, e.g. Ranorex only searches for the Web Element when we access the field from our Test Class. So now we can check this works by opening our Test Explorer (Test->Windows->Test Explorer) choose run all… and check the results!